At the dawn of the 21st century, Chinese acrobats have pushed the limits of acrobatic skills to an extraordinary level. If the Russians and other members of the former Soviet Union have been the most inventive and skilled circus artists of the twentieth century, the Chinese, who come from a different, albeit parallel tradition, are reigning today over the world of acrobatics—at least technically, if not always creatively. Chinese acrobats can be seen in many Western circus shows; the Chinese acrobatic theater where they come from, however, is often mistakenly called "Chinese circus" in the West. Although its artists perform acts of a similar genre and share with Western circus artists a similar background—that of the traveling fairground entertainers—their craft has evolved separately, with its own history and traditions. Historically, the main difference between circus and Chinese acrobatic theater resides in the content of the show, and its venue. Whereas the Western circus was originally an equestrian show interspersed with acrobatic elements (see Short History of the Circus), the Chinese acrobatic theater has always been purely acrobatic, and didn’t include any form of animal training, equestrian or else—although trickAny specific exercise in a circus act. riding exhibitions and trained animal shows existed in China, but separately from acrobatic performances. In addition, until very recently, the Chinese acrobatic theater didn't include aerial acts either. The People's Republic of China is a multi-national country, an ancient civilization with a long history and a rich and brilliant culture. Over several millennia, its peoples have created many forms of performing arts, each of them characterized by a host of schools and styles. These have followed, for centuries, a linear evolution aimed towards the extreme refinement of the skills involved in each particular art form. Although China started contacts with non-Asian countries more than two thousand years ago, foreign influences were absorbed and rendered with a Chinese flavor for the sole benefitSpecial performance whose entire profit went to a performer; the number of benefits a performer was offered (usually one, but sometimes more for a star performer during a long engagement) was stipulated in his contract. Benefits disappeared in the early twentieth century. of that evolution. In this peculiarity lies the most important difference between Chinese and Western cultural traditions: The latter is more organic and open to new components, whereas the Chinese tradition aims towards the perfection of already well-known elements, and the integration of new elements into the existing mold. The Chinese acrobatic theater followed that same development pattern. Whereas European and American circuses and circus performers were in a constant search for novelties and new techniques (driven in part by commercial needs), Chinese acrobats eventually restricted their repertoire to a set number of specialties (although it came to include over two hundred different specialties—which is quite a number in any respect), but they constantly improved their presentation and increased the level of difficulty of the tricks involved, in search of an elusive perfection. Chinese itinerant entertainers, however, had already met with their European counterparts in the giant medieval fairs of Eastern Europe, which had already created cross-pollination between Western and Eastern acrobatic techniques. But after the disappearance of these fairs in the eighteenth century, European and Chinese performing traditions evolved on wholly separate paths. Historical records, carvings and mural paintings in tombs and grottoes (such as the brick carvings discovered in the Han Dynasty tomb of Chengdu, in the Szechuan province) date the origins of Chinese Acrobatics more than two thousands years ago, during the Warring States period. They developed mostly during the Qin and Han Dynasties (221 B.C.-230 A.D.) and reached a remarkable level of quality and refinement during the Western Han Dynasty, evolving from a simple exhibition of skills into a performing art, with a rich and eclectic repertory including tumbling, balancing, plate spinning, pole balancing, rope dancing, etc. This acrobatic performance was known as The Show of One Hundred Skills. Many of the Chinese acrobatic acts have evolved from the Chinese people’s everyday life, notably among Chinese peasants. Acrobats exhibiting amazing skills of strength and agility first appeared in the annual harvest celebrations of the Han Dynasty. Chinese farmers and village craftsmen, who didn’t have much to do during the long winter months, decided to spend their idle time improving their societal positions by becoming acrobats, jugglers, rope dancers, and hand balancers. They practiced this new art form with just anything they could find around their houses and farms—cups, saucers, plates, tables, chairs, pitchforks, and many other common objects. And of course their own bodies, with which they formed human columns and pyramids, also became part of their joyful attempts to make their show more attractive. Not to forget the Chinese sense of humor: Comedy was always part of these ancient shows. The Province of Hebei, located on the plains of North-China and bordering the Bohai Sea on the east, is considered to be "the cradlePiece of apparatus (generally aerial) composed of two horizontal parallel bars in which a catcher locks his legs to be in position of catching a flyer. (Variant: Korean Cradle.) of acrobatic arts," where the tradition of Chinese acrobatics originated two thousand years ago. Its capital is Shijiazhuang, about 250 km (190 miles) southwest of Beijing. Hebei has a rich natural scenery and abounds in historical landmarks. Such environment apparently was the ideal setting to give birth to this extraordinary art form. So, every year in the fall, the Chinese peasants joined in the celebration of a bountiful harvest—a sort of Chinese Thanksgiving. It was then that the common people would show off their skills by performing fun and exciting feats of daring, agility and strength. In time, elements of their performance became codified into the specific elements of a ritual, which eventually evolved into a performing art form. For instance, the Lion Dance, a staple of the Chinese acrobatic theater, originated in an acrobatic dance performed by the peasants after a good harvest. It was a ritual of survival, in which the dancers displayed their renewed strength and agility, comparable to that of the lion, to celebrate Nature, which had provided them with food for the winter. Originally, its symbolism was the same all over China, and therefore so was its form. But when codified as a ritual, and then as an acrobatic specialty, it came to vary from one province to another. Like their European counterparts, Chinese acrobats started working locally, and when they began to realize that they could make a living out of their performances, they hit the road and traveled from one village square to another, eventually appearing on Eastern European fairgrounds. They also participated in festivals and, for the best of them, in court entertainments. They formed troupes of traveling entertainers, not unlike the mountebanks of Europe. Eventually, they developed a common repertoire that didn't change over the centuries—but certainly evolved in terms of technical achievements. The Chinese acrobatic theater is made of various acrobatic specialties that have developed in China in their own specific way. The Lion Dance, one of the most recognizable, is performed by acrobats who, under the costume of a "big lion" (involving two acrobats) or a "small lion" (involving one acrobat only), portray the lion's strength and agility as well as the quiet and playful side of his character. It evolved from an old folk dance in China, and is usually replete with symbolism that is often lost on audiences not familiar with the subtleties of Chinese culture. In the same vein, Chinese acrobats perform the Dragon Dance under the costume of a serpent-like dragon, which generally remains purely a dance display. Cycling acrobatics were imported to China in the nineteenth century, but the Chinese made it a specialty of their own, one that has known in China a spectacular evolution. They are performed on stationary bicycles (and they are then balancing acts performed by one or several acrobats) or on moving bicycles and unicycles. The most spectacular figure in a Chinese bicycle act is of course the "peacock" finale in which a large group of acrobats riding a single bicycle organize themselves in a tableau representing a peacock fanning its feathers. Tight wire or slack wireA Tight Wire, or Low Wire, kept slack, and generally used for juggling or balancing tricks. both evolved from traditional rope dancing, which appeared in China during the Han Dynasty (206 BCE-220 CE), more than 2000 years ago. Magic is also part of the Chinese Acrobatic Theater, in its more ancient and traditional form: In it, the magician wears a large robe from under which he or she produces a vast quantity of water bowls of all sizes with live fishes swimming in them, or braziers with burning fire; catching fishes in the air is also part of the repertoire of Chinese magicians, as well as amazing card manipulations. Hoop diving is another staple of Chinese acrobatics. It appeared also during the Han Dynasty, and was known originally as "Swallow Play" because the performers were supposed to imitate the movements of swallows as they jumped through narrow rings piled upon one another. The Chinese now call it "Dashing Through Narrows" (literal translation). Another staple of Chinese acrobatics (and acrobats all around the world) is of course acrobatic tumbling, known in China as Wushu. Teeterboard is also an old Chinese specialty (which perhaps originated in Korea) with an international flavor. Meteor juggling, a uniquely Chinese specialty this time, consists in spinning a rope with two bowls filled with water attached at each end; the spinning ensemble is manipulated a little like the baton of a baton twirler, thrown up in the air while the juggler does acrobatic jumps before catching the meteor again—whether with his hands or on his feet, with which he or she kicks the meteor up again. Whatever the movements, the meteor never stops spinning, and the water is never spilled. "Pole Climbing," known in the West as Chinese Poles is another old staple of traditional Chinese acrobatics: It was already described by writers some 1000 years ago. After the founding of the People's Republic of China in 1949, the Chinese government, following the policy they had defined as "Let a hundred flowers blossom and weed through the old to bring forth the new," brought about a spectacular renaissance of the old acrobatic theater. Acrobatic troupes were created in each province and every major city, and were given their own theaters. The teaching was (and still is) done within the troupe, old performers training the new generation. This led to a spectacular revival of Chinese acrobatics, made more relevant by the fact that these troupes, unhindered by language or cultural barriers, could travel abroad and generate much needed foreign currency. The Chinese communist government was quick to realize this potential, and widely supported the development of acrobatic troupes, even creating troupes within the Army or the Chinese railways. In time, each troupe acquired its own specific style and repertory, and began to compete for supremacy in one genre or another. These efforts, overseen by a governmental central organization, were encouraged and rewarded. The remarkable results achieved since 1949 underwent a serious setback during the Chinese Cultural Revolution (1966-1976). But this was only to see the vitality of the Chinese acrobatic theater soaring to new heights afterwards: As a reaction to ten years of Chinese elites’ dismissal, the government replaced the bureaucrats who were heading the troupes by senior leading acrobats, thus further encouraging their artistic development. And when China eventually began to open up to the Western world in the 1980s, the cross-pollination between East and West reappeared in a spectacular way. In 1981, the People’s Republic of China sent Dai Wengxia’s extraordinary Glass Pagoda act, from the Guangzhou Acrobatic Troupe, to the Festival Mondial du Cirque de Demain in Paris. It was the first time a Chinese act competed in an international circus festival, and Dai Wengxia won a Gold Medal—while another act from the Guangzhou troupe (a Bowl Pagoda duet) won a Silver Medal. And for their first appearance in a European circus festival, Chinese acrobats started an amazing winning streak that would not abate over the years. By then, Chinese acrobatic troupes had indeed resumed their international tours. Then, in 1984, the Nanjing Acrobatic Troupe shared the bill of Circus Knie, in Switzerland, with the Knie family and such Western circus stars as Sabú Alegria and Kris Kremo. 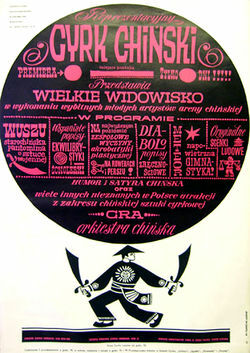 The following year, the Tianjin Acrobatic Troupe participated in the French National Circus production of Paris-Pékin, along with the troupe of Alexis Gruss, which formed the core of the Cirque National. In 1988, the Nanjing Acrobatic Troupe was fully integrated in the Big Apple Circus production of The Big Apple Circus Meets The Monkey King. Major circuses began to hire Chinese acrobatic acts for their shows, not because they gave them an exotic touch, as had been mostly the case before World War II, but because they were available and, more importantly, spectacular. The Canadian trendsetting juggernaut Cirque du Soleil, notably, began hiring Chinese performers in 1994, for its show Alegria. There, they were asked to change their style drastically, and to adapt to the specific demands of a very successful show. Such experience, more than any others, had a deep influence on the Chinese acrobatic theater. Acrobatic troupes began to realize that their traditional displays, with their quaint (to Westerners) costumes, attitudes, and music, were not anymore what big potential employers such as Cirque du Soleil and Ringling Bros. and Barnum & Bailey were looking for; they were interested instead in the Chinese acrobats’ amazing skills, and their ability to present impressive ensemble work, and wanted to use them in a creative way in their own productions. The exotic element was on the wane. Not only Chinese acrobatic troupes made themselves totally available to the needs of producers around the globe, but they began to develop a new style of their own, very much inspired by Cirque du Soleil’s. The Flag Circus of China (the Army troupe of Kunming, in the Yunnan province), and the Guangdong Troupe (the Army troupe of Guanzhou), the troupe of Dalian (in the Liaoning province), and Beijing's China Troupe are among the many companies that present today lavish spectacles in the "new style," perhaps reminiscent of the Cirque du Soleil’s imagery, but with a truly Chinese flavor—due mostly to the often mind-blowing skill level and acrobatic combinations displayed by their performers. After more than two millennia of practically unchanged tradition, the Chinese acrobatic theater, like China itself, has experienced a complete transformation at the dawn of the twenty-first century. It came with the realization that, in a global civilization, it is not their peculiarities, and thus their difference, which made the Chinese acrobats attractive, but their extraordinary talent at constantly surpassing themselves, which made them the best in their specialty within a global circus community. History: Anhui Acrobatic Troupe, Beijing Acrobatic Troupe, Changchun Acrobatic Troupe, China Acrobatic Troupe, Flag Circus of China, Dalian Acrobatic Troupe, Flag Circus of China, Guangdong Acrobatic Troupe, Inner Mongolia Acrobatic Troupe, Nanjing Acrobatic Troupe, Shanghai Acrobatic Troupe, Tianjin Acrobatic Troupe, Xinjiang Acrobatic Troupe, Zhengzhou Acrobatic Troupe.